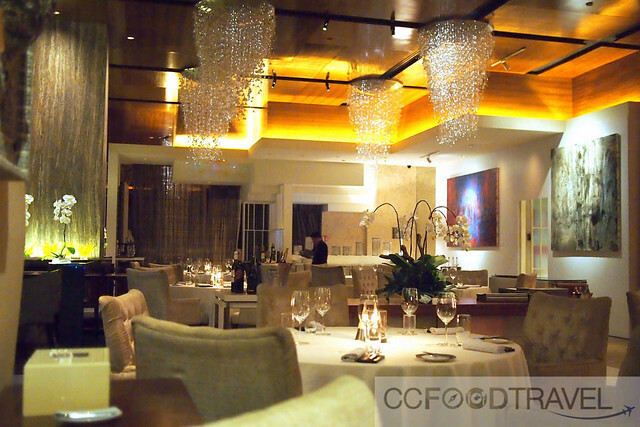 It’s always a pleasure to dine at the Mandarin Oriental, and this time round we were invited back to check out its revamped restaurant, and spanking new menu. In the capable hands of Chef Benjamin Halat who hails from Munich Germany, we would be sampling the best that Mandarin Grill had to offer. Specializing in classic international dishes with a delicious, contemporary twist, we knew we were in for a treat. 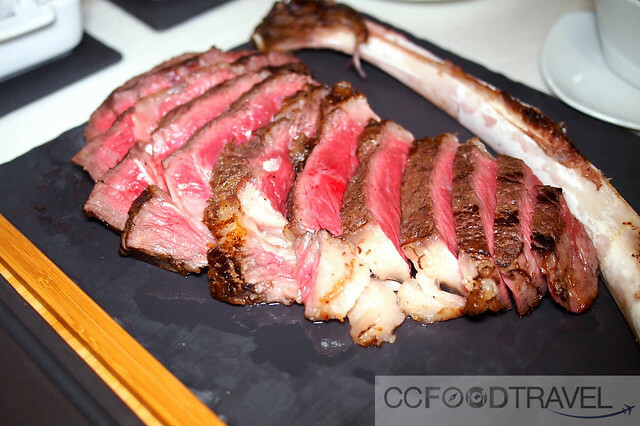 Only the best cuts of meats are served here, and the finest produce such as the mammoth Tomahawk Steak or even the ribeye wagyu, to name a few. 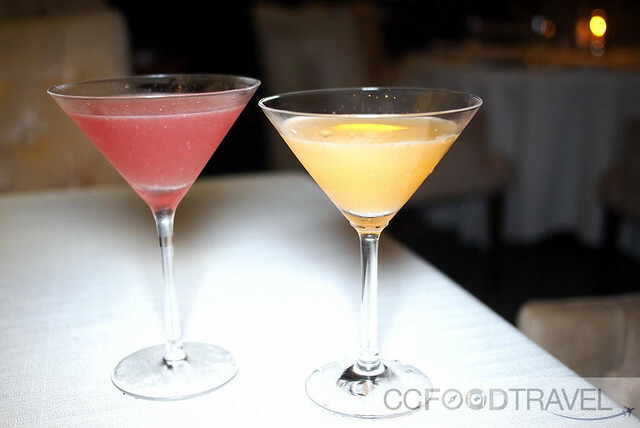 Pair these with either cocktails or vintage wines, and know that your dinner will be a memorable one. A tipple for everybody, so to speak. 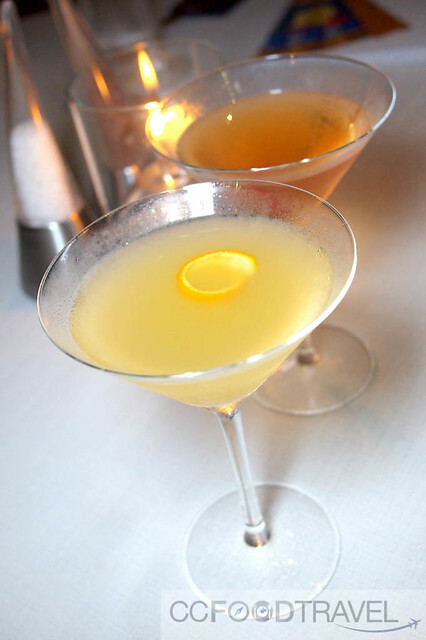 For those of you who love Martini’s, you’d be happy to note that there are 12 variations of the cocktail (RM42 each), from the Classic, Perfect, Gibson, Manhattan & Aviation to newer versions that include ingredients like house-infused pepper vodka, ginger, fresh chilli & bay leaves. And for the Martini base, choose Gordon’s gin or Smirnoff vodka, or opt for a RM10 upgrade to Bombay Sapphire, Tanqueray, Belvedere, Grey Goose or Ketel One. 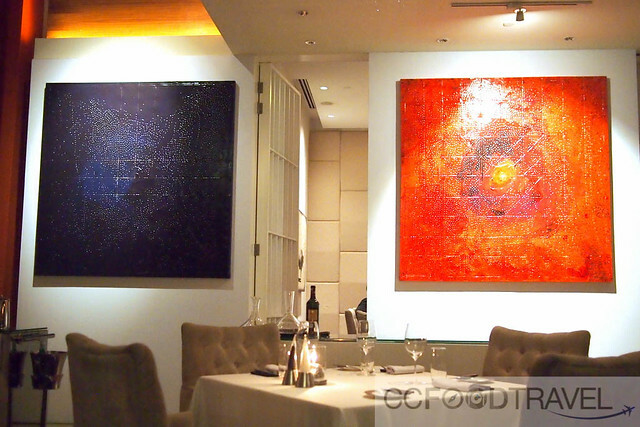 And ever since Aziamendi88, at Mandarin Oriental , Malaysia’s first 3 Michelin Star Chef Pop-Up restaurant, the rather bright and cool paintings still grace the walls of the Mandarin Grill, lending it a contemporary, unstuffy vibe that’s really rather swanky chic. 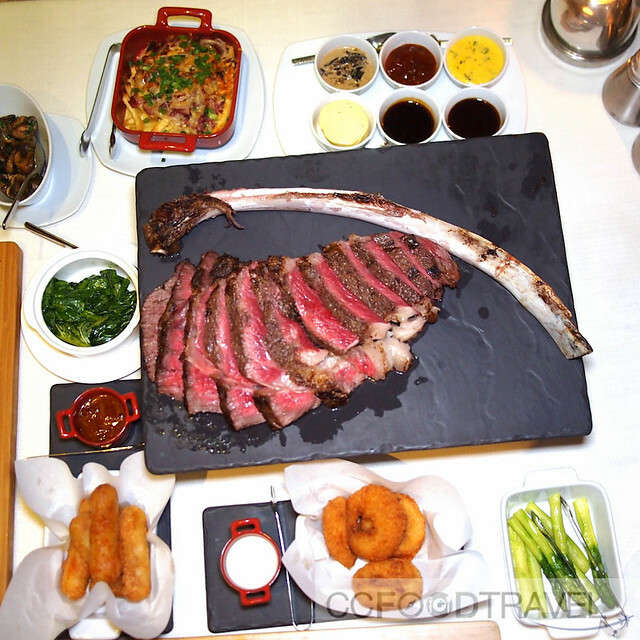 The MO Grill has now reopened, returning to its roots as a classical steakhouse, and we were actually completely sold on the idea, and could not wait to start cracking on that gargantuan steak we had seen earlier. Of course, we selected our cocktails, wines and mains, and settled down in anticipation of dinner. 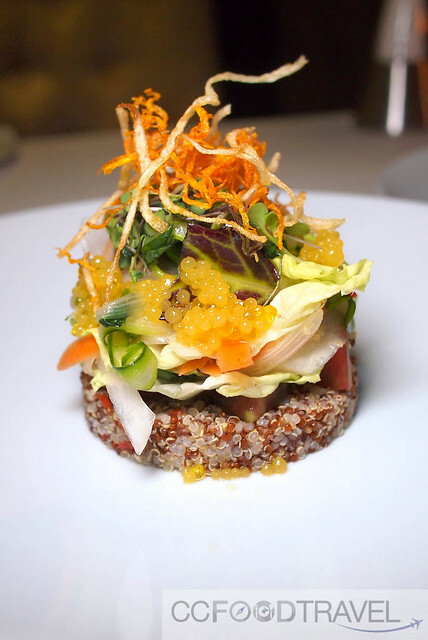 The Mandarin Grill Salad(RM74) – delicious, fresh and rather nutritious Peruvian Quinoa, lettuce, sprouts, cress, mango caviar, heirloom tomatoes and vegetable chips to kick-start our gastronomic journey. Loved how the tart yet sweet mango caviar balanced the earthy quinoa and salad perfectly. Classic Prawn cocktail(RM88 nett)- a delightful medley of prawns, mustard greens, served in a contemporary manner with the homemade thousand island dressing on the side, and rock melon powder. 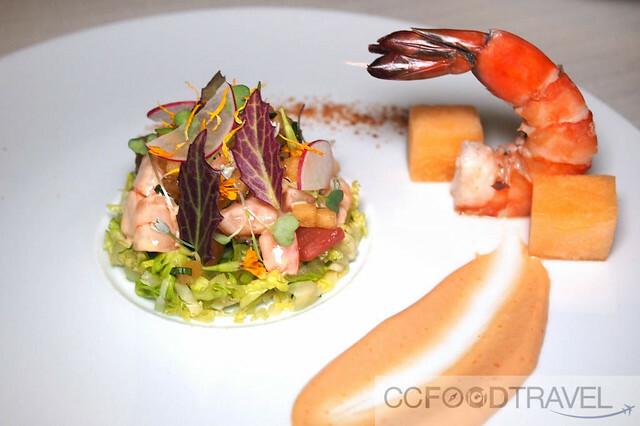 The rock melon powder was a fabulous touch and elevated the cold prawn cocktail dish to new heights. Chef Benjamin Halat tells us a bit about Mandarin Grill’s aspirations and where the restaurant is headed. 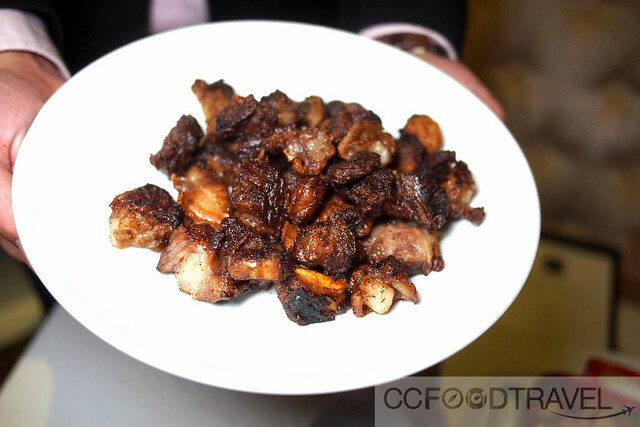 After showing us the grilled beauty, the chef whisked it away to be sliced, and also for some choice fatty parts of the cow to be deep-fried into these sinful nuggets. Super addictive and something I could finish only too easy with a cold mug of beer! For the mains, both me and my dinner companion decided to take on the Sher Wagyu (hails from the Sher family in Victoria, Australia), aka. Tomahawk. 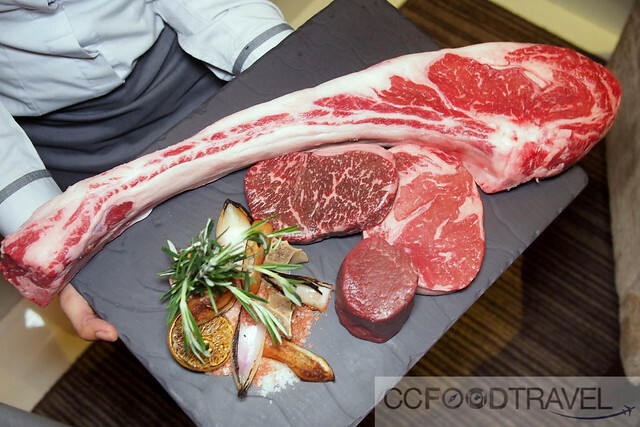 Grilled to perfection on Mandarin Grill’s Josper charcoal grill, you might want to go for a 400-day grain-fed tenderloin, rib-eye or sirloin (BMS 8), or the sky’s the limit with the mammoth meat portion called the Tomahawk, bone-in rib steak (BMS 6-7). Of course, we were not one to back down from a challenge, and so Tomahawk, it was! medium rare, French trimmed, blissfully unctuous! And here it is.. the Tomahawk all sliced up in its full, gleaming glory. This baby will set you back by a thousand ringgit, but it’s really worth it, if you share it with 3-4 people. And believe me, you can, and you should. Don’t be greedy like the two of us, because we ate this (and finished it) till our sides burst. Another praiseworthy item or items rather, are the Mandarin Grill’s side dishes, 12 in total. I mean, there are so many of them! From Tempura fries, Alsace-style French fries topped with crispy beef, gruyere cheese & onions, cream spinach, onion rings, green asparagus to lovely wild morel mushroom ragout, bearnaise, calamansi butter, tamarind-coriander butter, fresh horseradish cream, green peppercorn, or lemon gremolata, the meat-sauce permutations were endless! 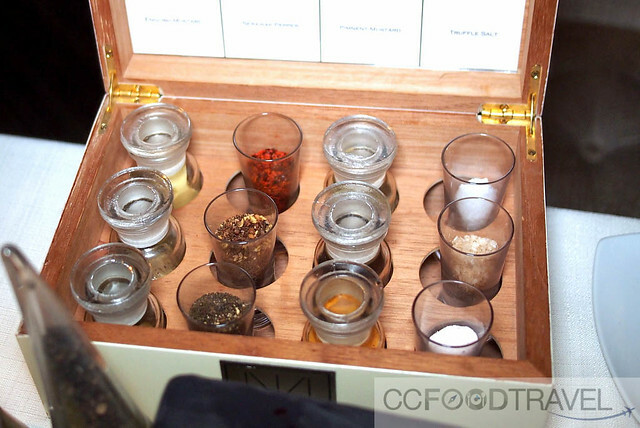 And Chef tells us that since most Asians are a bit conservative when it comes to salt, he had the brilliant idea of preparing all the condiments, separate, where diners are encouraged to add their own spices. In this way, the diner can feel like the “chef” as they add their own nora peppers, truffle salt, raisin mustard or smoked fleur de sel, to their steaks. Fabulous idea we say! 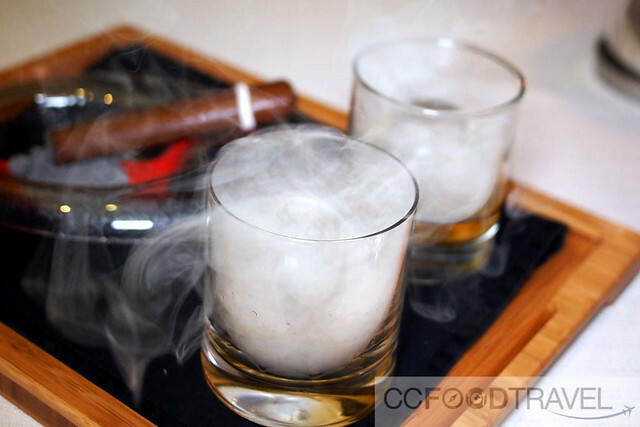 This incredibly creative and well made smoked dark chocolate cigar with single-malt whiskey on the rocks was just too cool for school. The one time I didn’t mind having a cigar after dinner! 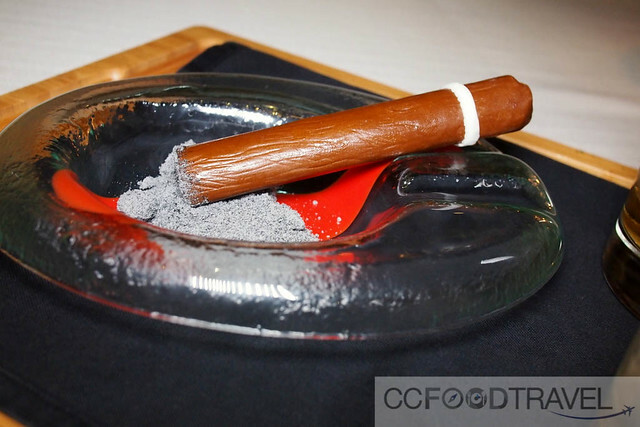 The cigar was packed with chocolate shrapnel and the ‘cigar ash’ was some sort of ash colored, fine, sandy sugar. 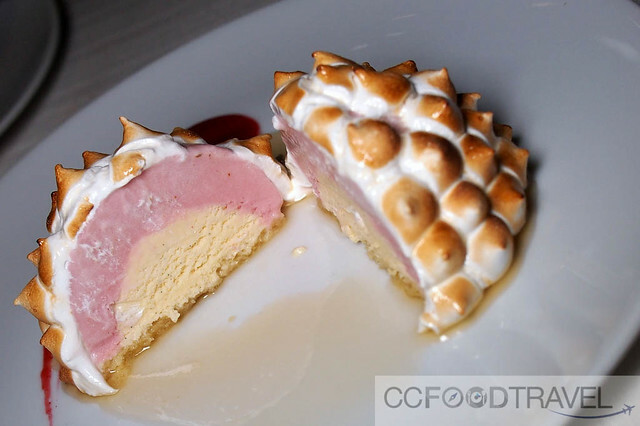 Baked Alaska – yoghurt ice cream blanketed in soft Italian meringue, set alight with whiskey (RM42). 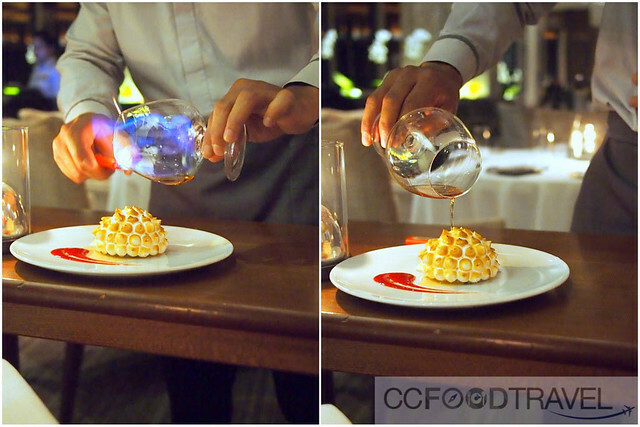 And childhood memories of waiters setting my white, icy igloo dessert on fire come flooding back. For the igloo was non other than the Bomb Alaska. Actually I am rather appalled that my folks let me consume all that brandy when I was still little, but they reasoned that most of the alcohol had been expertly flambéed away anyway. Such a pretty, dainty bomb alaska. Felt almost like a shame to eat it. 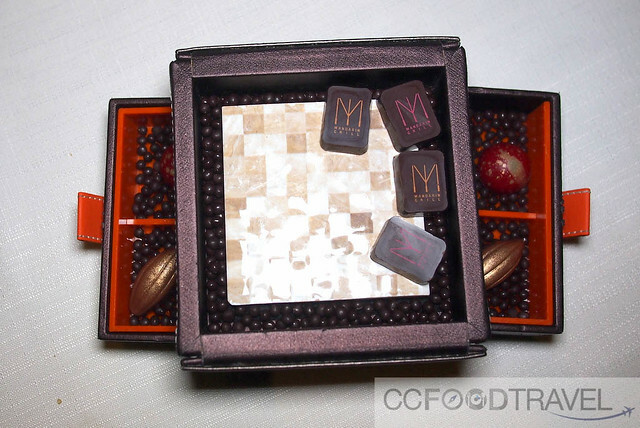 Chocolate petit fours concluded the night. Ok, I lie. There were more cocktails, and wine and whiskey. And somewhere along the timeline where sobriety faded into catatonic bliss we stumbled to our respective cars and Uber-ed home. What a night. What a dinner. Definitely the one to top, and most definitely one we won’t soon forget! Mandarin Grill @ the Mandarin Oriental, Kuala Lumpur. Was your dining companion….Sean? LOL The food looks great….but the price, ouch! 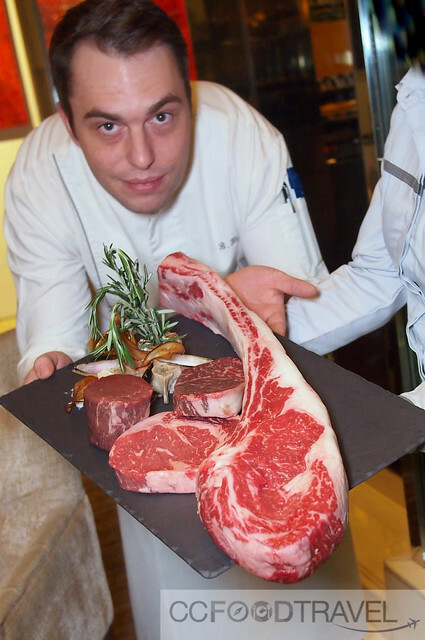 :'( That tomahawk’s huge….how can two people finish that! Beautiful! I was seduced by the Tomahawk steak, will definately go for that. Who can resist its charms eh.. ? Not many !